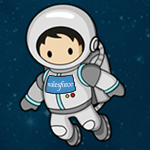 In April 2014 over 75 Salesforce Developer Groups from around the world gathered to take part in Salesforce1 Developer Week. Here's how the week went down. Jesse Altman, Lehigh Valley – Salesforce1 Developer Week Was Amazing! If you were unable to join us for Salesforce1 Developer Week, make sure you connect with your local Salesforce Developer Group so you’ll be part of the next one! And everyone can carry on the excitement of Salesforce1 Developer Week by participating in the Summer of Hacks! This global hack event features stops in Los Angeles, London, Bangalore, and New York City and $50,000 in prizes. Register for free today!